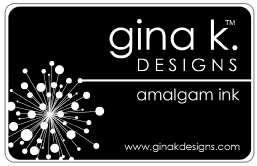 Welcome to Day 1 at the Gina K Designs Janurary 2019 Blog Hop. 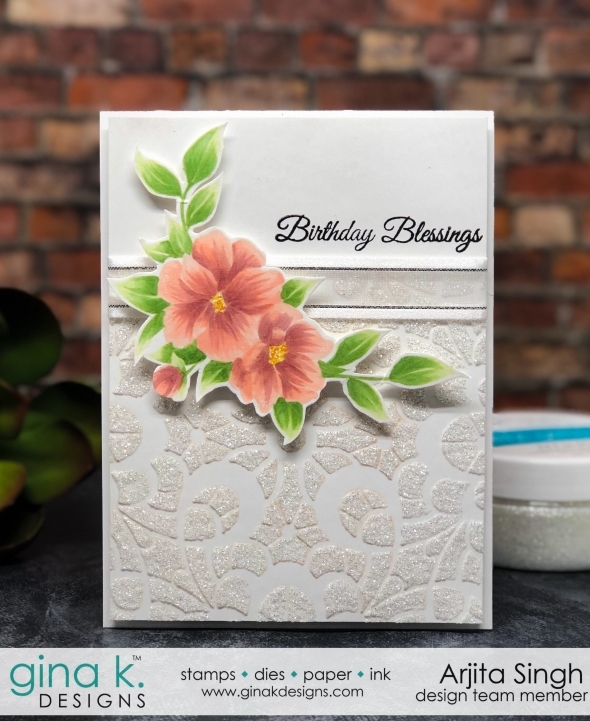 Today I will be sharing the cards I created using OPEN BOOK designed by Melaine Muenchinger which is one of the most unique stamp set because of the book image and all the other elements in the set. 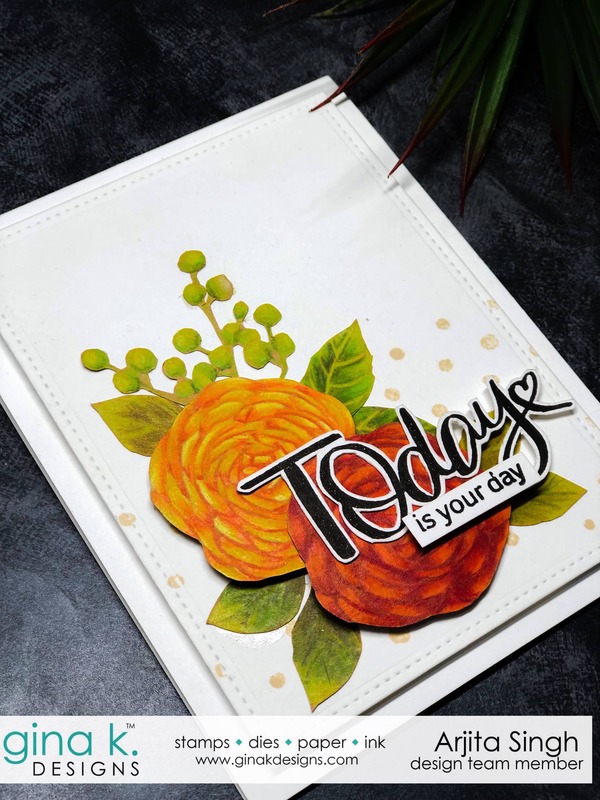 The second set is the gorgeous Floral theme stamp set called TODAY AND ALWAYS designed by Lisa McClelland Hetrick. 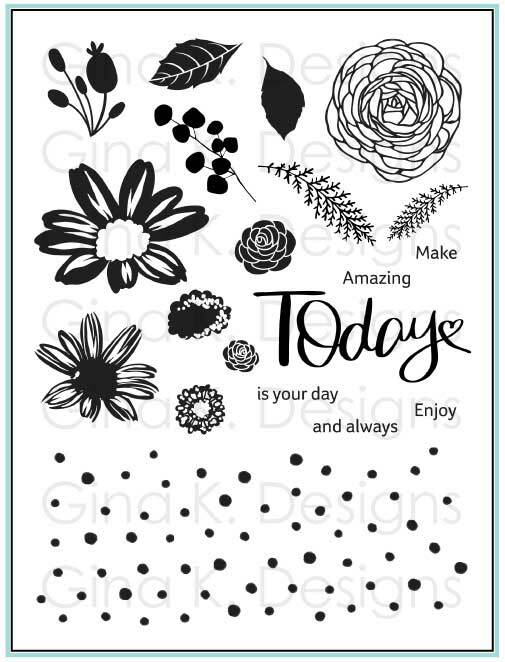 This stamp is going to be extremly popular as its very easy to create beautiful floral patterns.To celebrate this release Gina K Designs will be giving away a $50.00 Gift Code and to win all you have to do is leave us a comment and one lucky Winner will be anounced on Friday After the Hop. 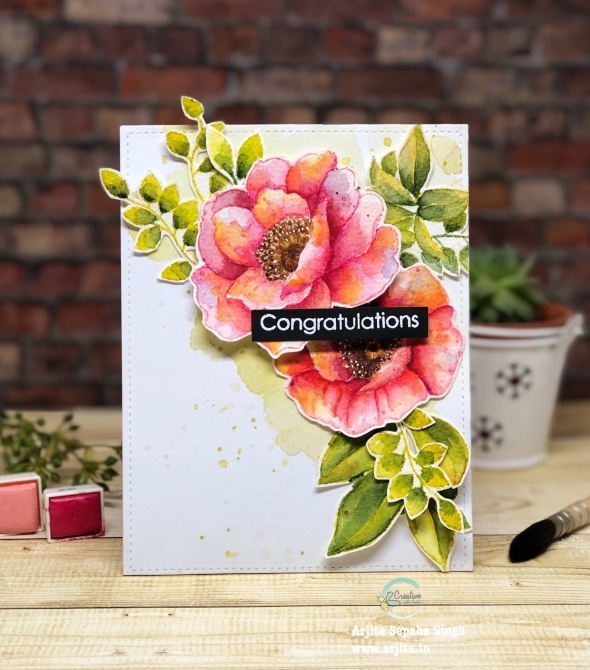 For this card I stamped the images with the brand new AMALGUM INK-Whisper(*Launched at Creativation 2019 and will be coming to the store very soon) which is perfect for no line colouring and works beautifully with pencil colours & gamsol. 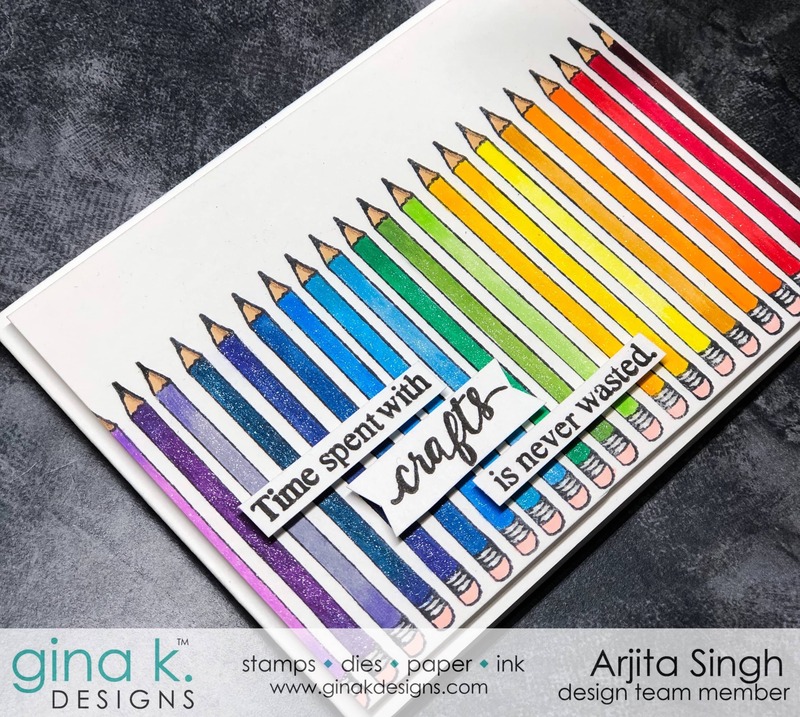 I used the Gina K. Designs ARTIST'S CHOICE paper which gives an result with pencil colors. 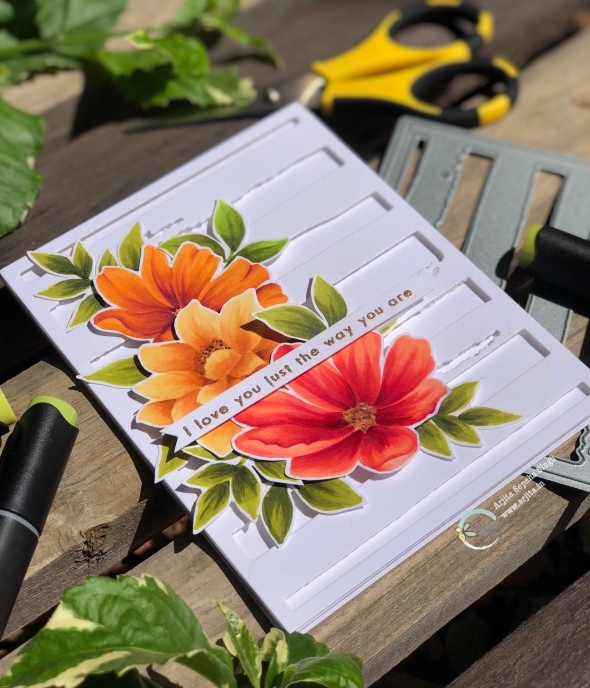 I love fussy cutting and I arranged the flowers,leaves and the sentiment on a white card pannel. 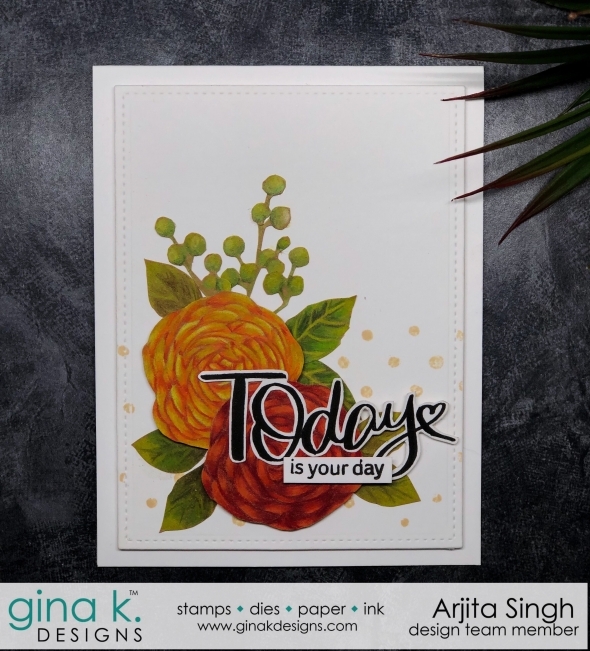 I also used the dots background to add some more interest in the card. 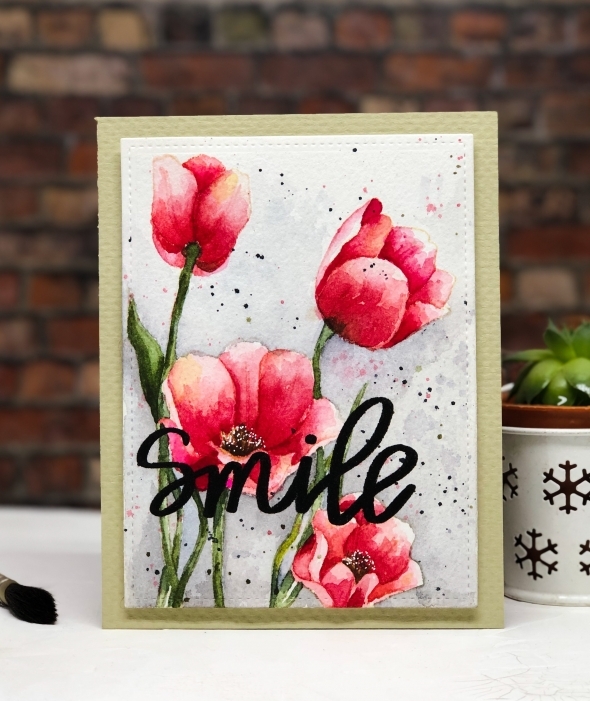 For my second card I used the pencil image from the set and restamped it several times to create a funky border. 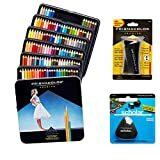 I used the Black Amalgum Ink to stamp and used a bunch of copic markers to colour the pencils. To finish the card I added some shimmer on the pencils using Wink of stella-Clear and a sentiment in black. 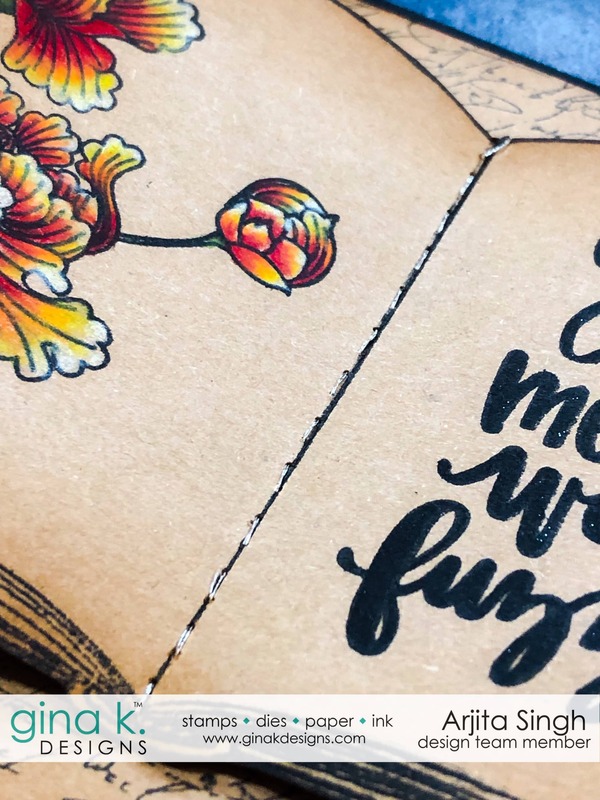 For the next card I used Kraft card stock and stamped the image with black Amalgum Ink. I also created a mask to stamp the florals. 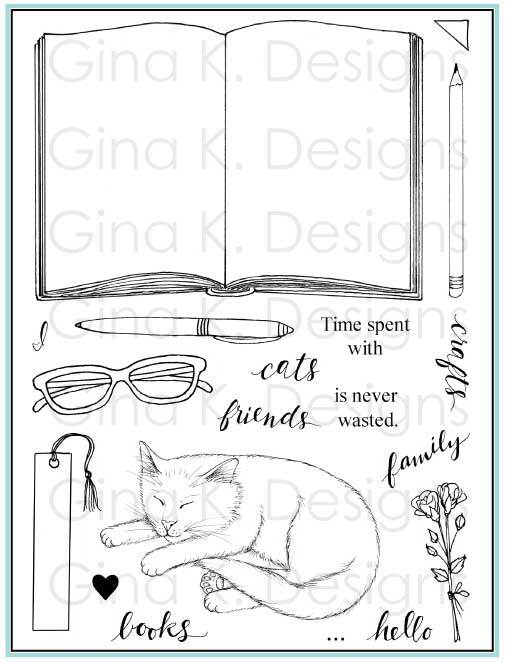 I used the scripty rubber stamp for the background and added some distressing around the edges. To add a lil more interest I added some real stitching at the book spine. I hope you liked the cards I created using the beautiful stamps. 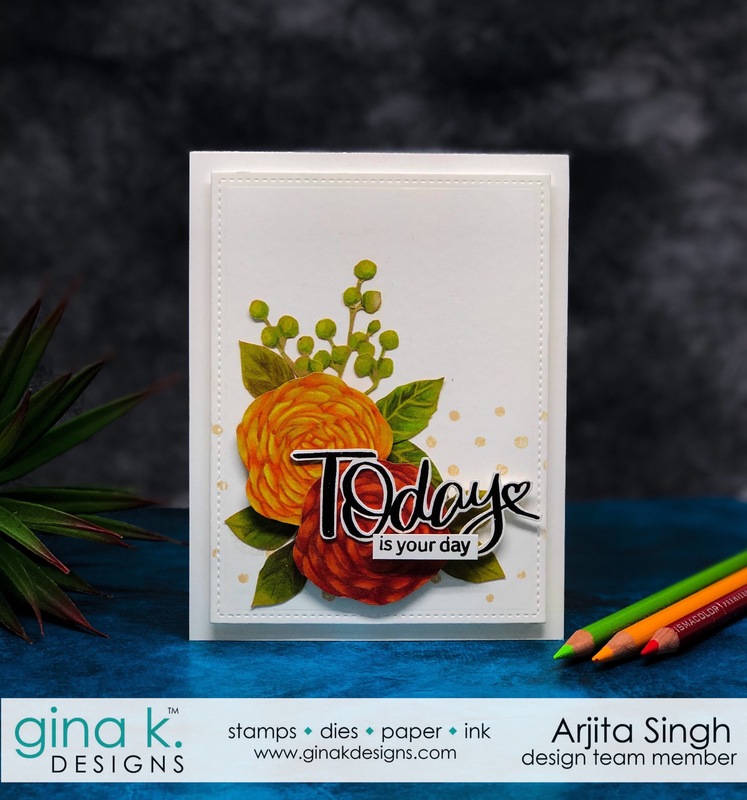 Please visit www.ginakdesigns.com to buy these stamps and do visit my blog tomorrow for more inspiration and ideas using the January 2019 release. What a cool stamp set. 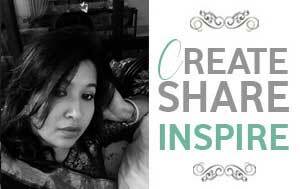 I really like the book idea. 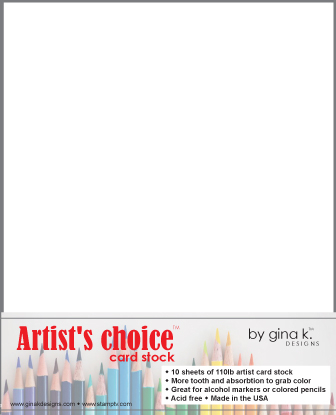 I love the pencil image card. 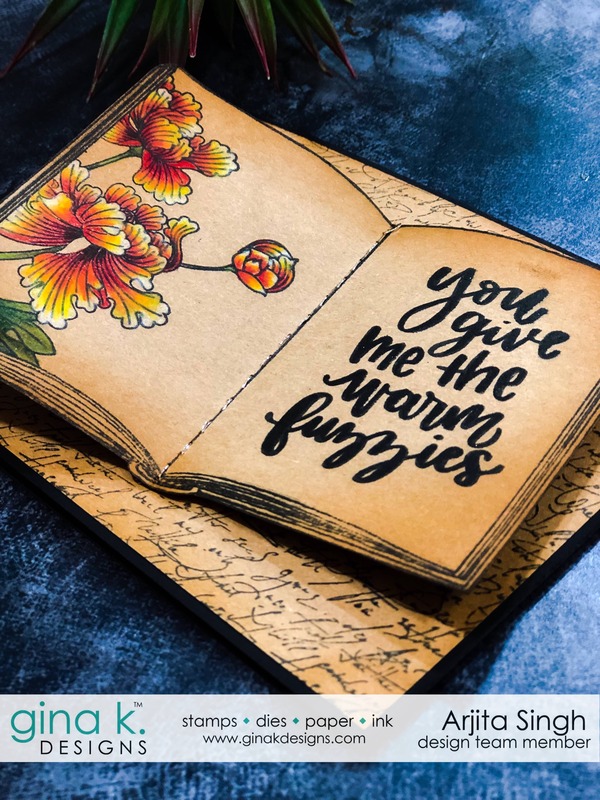 The Open Book set is great. Two great cards. 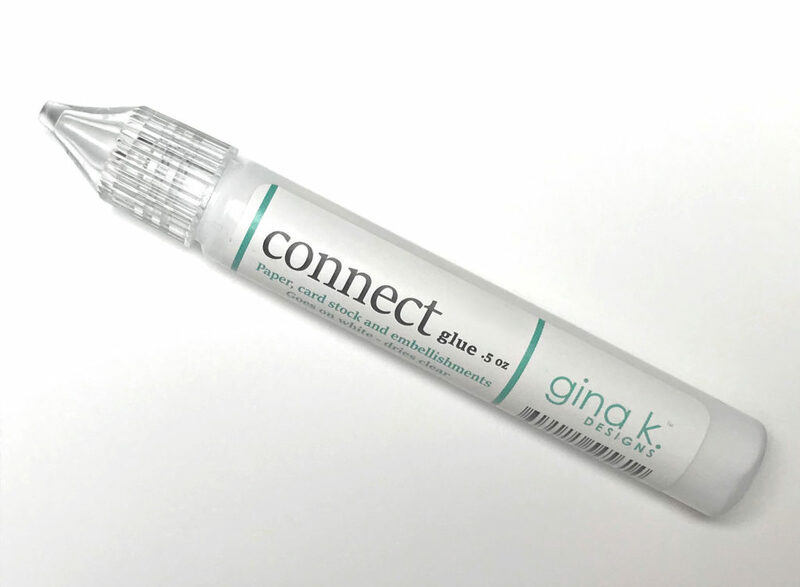 Love the pencil card. Simple yet very eye catching. 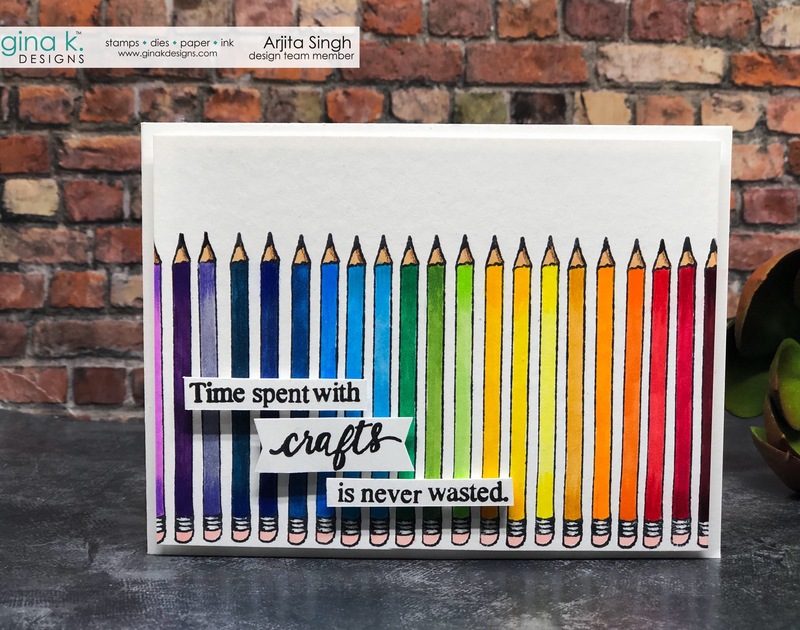 Your cards always amaze me! That said, the pencils made me smile!